Update: The Amazon listing has now been changed, listing Call of Duty: Infinite Warfare for $59.99 rather than $49.99. This article has now been updated to reflect this alteration. 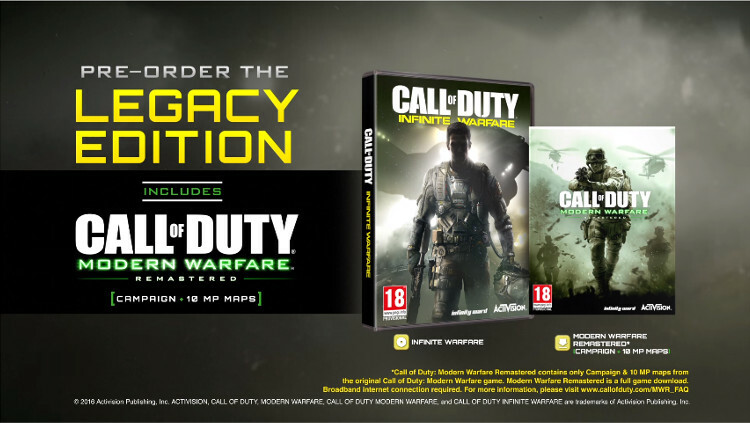 Original Story: Call of Duty 4: Modern Warfare Remastered will only be available for those who order the Legacy, Legacy Pro and Digital Deluxe editions of Call of Duty: Infinite Warfare, Activision has revealed. 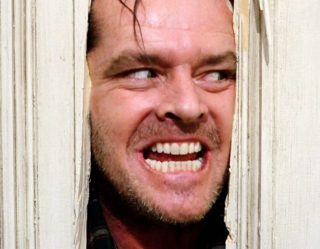 While there had been rumors that the remaster would be sold as a separate game for those who weren’t necessarily interested in developer Infinity Ward’s latest addition to the CoD franchise, the publisher has now confirmed that it will not receive a standalone release, with it instead bundled with the more expensive editions of Infinite Warfare. The Legacy Edition of Call of Duty: Infinite Warfare is your cheapest method of pre-ordering the Modern Warfare remaster, with Amazon currently pricing it at $79.99. This is $20 more expensive than buying the standard edition of Infinite Warfare, which the online retailer has priced at $59.99. The Digital Deluxe edition of the game, which is not currently available to pre-purchase, will include both Call of Duty 4: Modern Warfare Remastered and the Call of Duty: Infinite Warfare season pass, while the Legacy Pro edition will include all of the above along with unspecified “additional bonus content,” according to Activision. Amazon has also listed the pricing of the UK version of the game, with the Call of Duty: Infinite Warfare standard edition retailing for £46, while the Legacy edition is priced at £69. There’s no word yet from either region regarding the pricing of the Legacy Pro edition.